The Scorpion Wall Mounted Control Panel is an accessory to be used with the Scorpion Hard-To-Access testing Equipment. 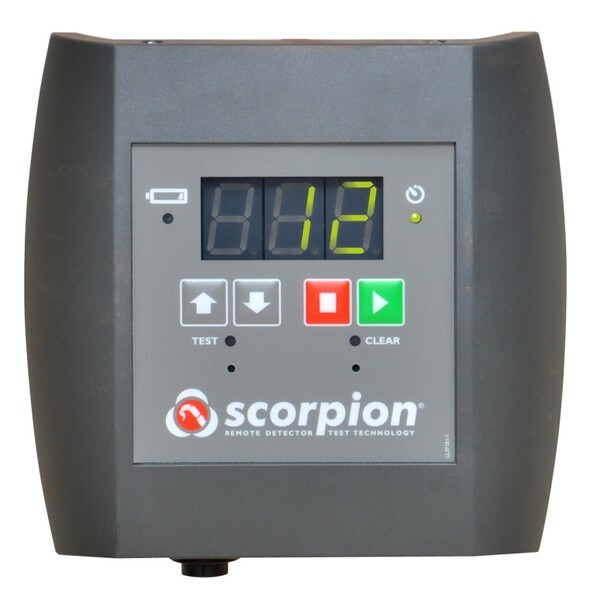 The Wall Mounted Control Panel is an alternative to using the Scorpion Engineers Portable Controller, and is battery powered to enable access using either the Scorpion Power Pack (SCORP50-001) or the Solo Battery Baton (SOLO760). The Wall Mounted Control Panel is capable of connecting to 8 Scorpion Point or ASD Head Units for testing from one convinient remote location.